Right-click a PNG picture > Properties > go to Open With tab. 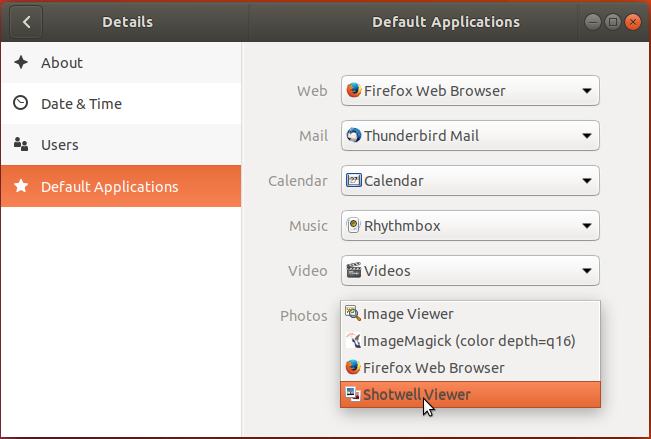 You see there the selected default app is "Image Viewer". 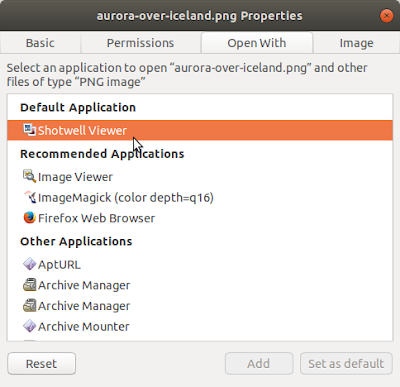 Change the selection by selecting "Shotwell"
Now every time you open PNG, it opens in Shotwell. 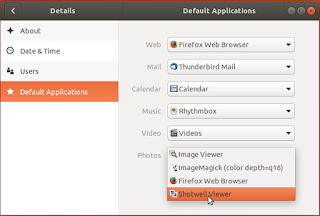 *) Tip: Shotwell is very convenient if your daily work is to crop many pictures, because Shotwell can crop but Image Viewer cannot. Right-click a MP4 video > Properties > go to 'Open With' tab. You see there the selected default app is "Totem". 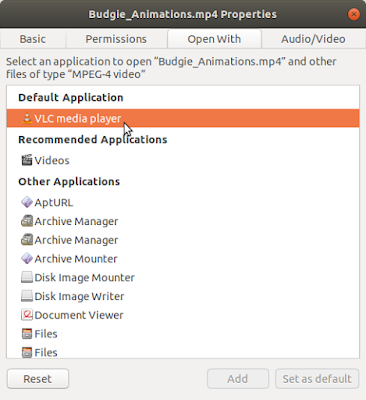 Change the selection by selecting "VLC"
The VLC is now at "Default Application" section. 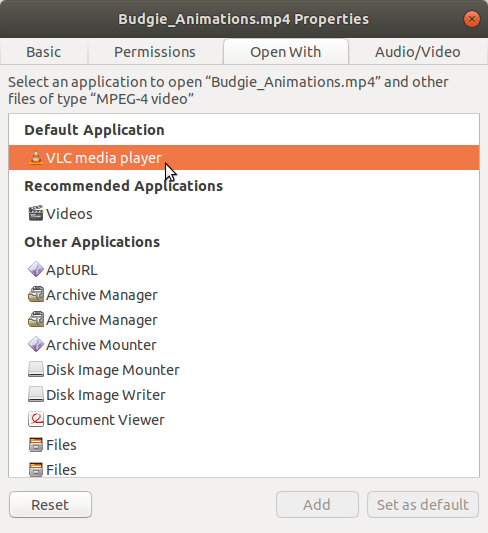 Now every time you play MP4 video, you use VLC. Right-click a TXT file > Properties > go to 'Open With' tab. 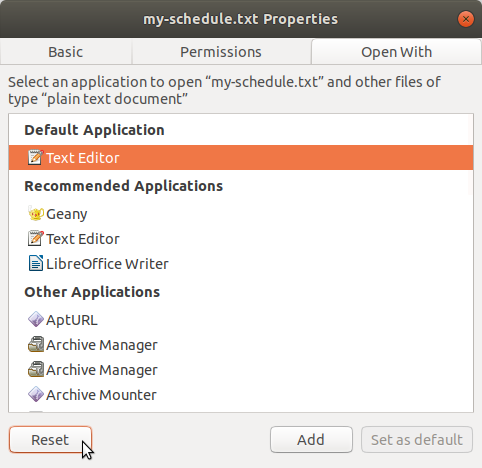 You see the default one is Text Editor. Now every time you open TXT, you use Geany. 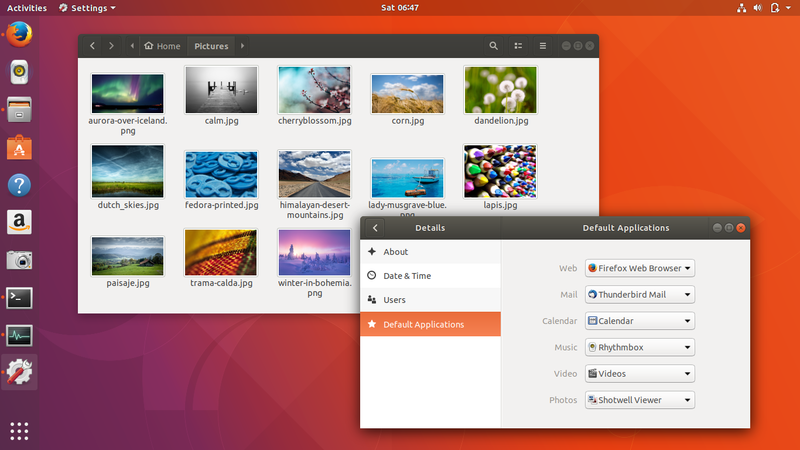 If you want to reassign just the main applications (they are: web browser, mail client, calendar, audio and video player, and image viewer) then simply go to System Settings > Details > Default Applications > change what you want there. Remember, you cannot reassign TXT or PDF application there because the options are limited. 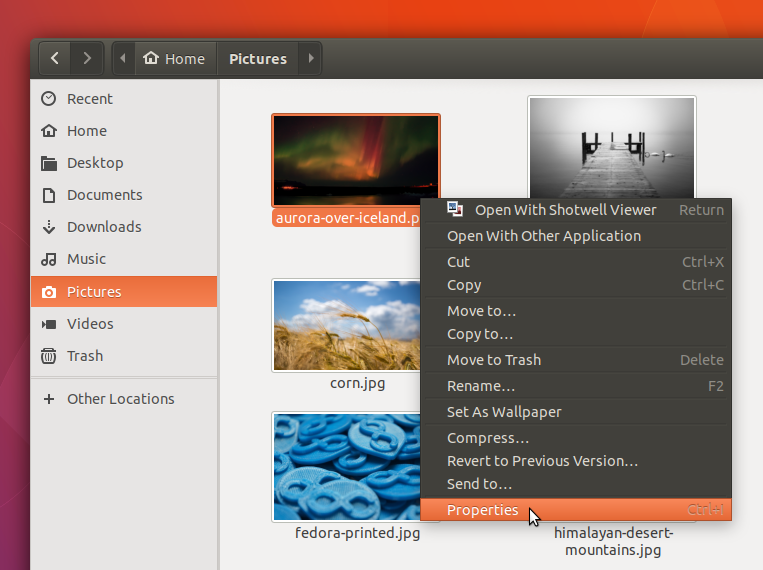 The best way is by reassigning per file type like 3 examples above. 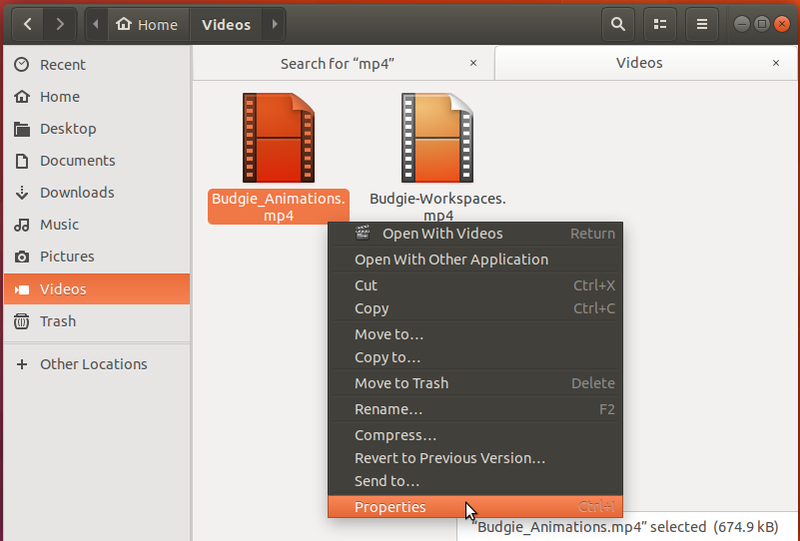 To revert back your changes into each file type's default application, just do the same steps, but click "Reset" button at 'Open With' tab. 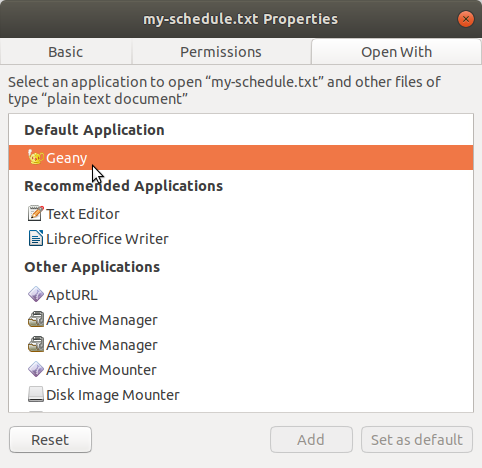 You should see the 'Default Application:' section showing the default program.